People take up metal detecting as a hobby for a variety of different reasons. Some simply want a way to spend some time outdoors and visit new locations (and potentially find some treasures in the process). 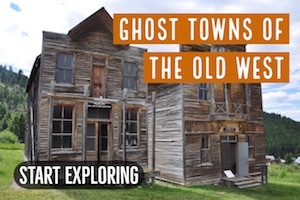 Some specifically want to poke around at Civil War sites or old settlements to find relics and artifacts of the past. And some people want to find gold. Some want to do all three. The White’s GMT is not for the jack-of-all-trades when it comes to metal detecting. This is a one-trick pony, but it does that one trick very, very well. 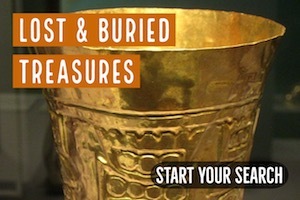 It’s designed especially for detecting gold, and a quick look at its specs explains why. What Makes Gold Detecting Unique? Prospecting for gold requires that your metal detecting unit have certain special capabilities, because prospecting for gold is a more specific task than searching for jewelry, coins, or relics. This may not intuitively make sense to the new hobbyist. After all, precious jewelry pieces are often made of gold, especially the most valuable ones, and there are certainly gold coins and gold relics in some regions. But finding those items is significantly different than finding gold nuggets. 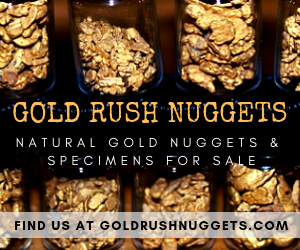 The difference isn’t in the gold itself, but rather the ground in which natural gold nuggets are most likely to be found. The geological profile of earth in which there are gold deposits is typically much different than earth without gold deposits, and this difference makes the job of detecting gold quite a bit harder. Here’s why. Natural gold deposits are a scarce commodity to begin with, obviously—that’s why the demand for gold remains so high. To further complicate matters, lode deposits (the largest deposits of natural gold) are often locked up in solid rock, and it typically requires industrial, corporate resources to mine this gold. These are the types of deposit that people refer to as gold veins or mother lodes. For the metal detecting hobbyist, placer deposits are usually the goal. Placer deposits are areas in which gold has been freed from the surrounding hard rock by a combination of natural or human forces—erosion, past mining, disintegration, and so forth. Simply put, most of us are looking for gold nuggets. Gold nuggets, flakes, and particles move away from the original site, often carried downstream by the circulation of water, to be deposited in areas with coarse sand and gravel, along with other heavy minerals that surrounded the original lode. For example, many placer deposits occur alongside concentrations of black sand, which is composed of (mostly) magnetite and hematite. Now the need for gold-specific detection like White’s GMT Metal Detector is probably becoming clearer. Unlike a gold and diamond ring found in a frequently visited park, gold nuggets are surrounded by earth or sand that contains many heavy minerals in much more concentrated quantities. 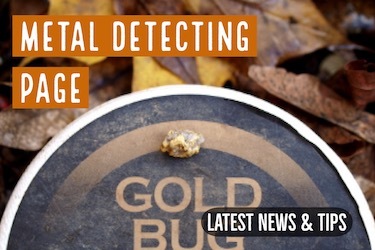 For a less specialized metal detector, this results in far too many false positives with so many signals that the detection of an actual gold nugget is drowned out. Additionally, consider that most gold nuggets present a smaller target than a gold ring or a gold necklace. They can be hard for a detector to find even under the best of circumstances. 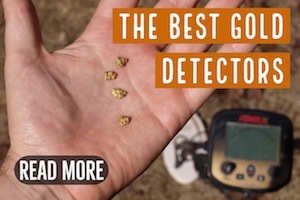 The above information may have been old news to some of you, but I feel that it is important to explain to folks the importance of buying a gold specific metal detector if they are serious about nugget hunting. Yes, all metal detectors will detect gold, and very few of them will actually work well in the goldfields, but the White’s GMT is one that will. The White’s GMT Metal Detector is a great choice for the new hobbyist and experienced detectorists who are interested in searching for gold nuggets specifically. It’s a mid-priced detector that gives you everything you need for successful gold prospecting without breaking your budget—and that means it’ll pay for itself faster, too, if you’re serious about searching for gold. It operates at 48 KHz, which is an excellent frequency for gold prospecting because it is especially sensitive to small metal targets (which includes most nuggets you will find). The automatic ground tracking feature is one thing that really makes the GMT so “hot” on small gold because it does an exceptional job of automatically tracking the ground conditions, allowing for a smoother threshold even in highly variable ground. At the same time, keep in mind that any automatic tracking has the potential “absorb” a small or deep signal as part of the ground. To avoid this, you simply pull the trigger switch to lock the threshold in place so that you can more accurately evaluate the target underneath your coil. The best coil options for the GMT are either the 4” x 6” DD coil or the 6” x 10” DD coil. Both of these work quite well in the goldfields, the smaller of the two having a slight advantage on detecting of smaller nuggets. You can search with an external speaker, or if you need less distraction, with headphones. 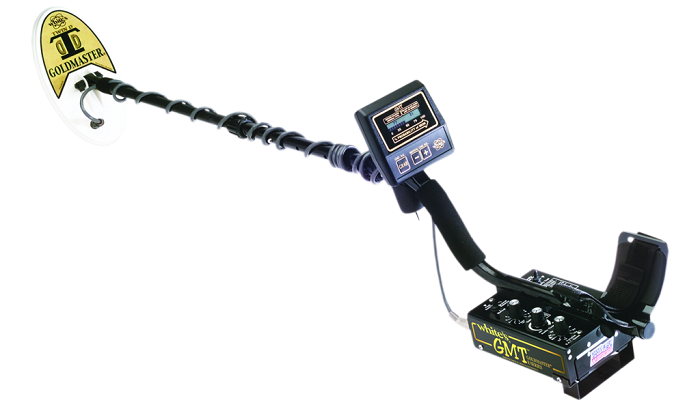 While the White’s GMT Metal Detector has great built in presets suitable for gold prospecting, it also allows you the freedom to do a lot of manual tweaking. 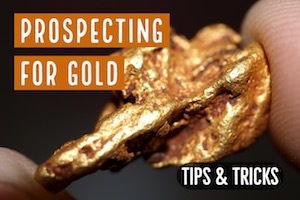 Beginners can stick with the automatic presets, but as they learn more about prospecting and their region’s geology, they can use these advanced features to improve their results. The White’s GMT is a very interesting and complex metal detector. For further information I would recommend that you study the White’s GMT Instruction Manual, as it covers the multitude of different settings and adjustments that can be done with this specialized detector. White’s Electronics was one of the first companies to manufacture metal detectors specifically for gold and treasure hunters, and as an American company they have garnered a very loyal following. The entire lineups of metal detectors by White’s are extremely popular around the world. The White’s GMT is no exception. It was released in 2000, and quickly became one of the most popular gold detectors on the market. As I mentioned before, the White’s GMT is a specialized detector that is designed specifically for gold nugget hunting. It is NOT a multi-purpose detector; it is a GOLD detector. These days there are quite a few options of different gold detectors on the market, but very few of them are as sensitive to small gold as the White’s GMT. Operating at 48 kHz, it is more sensitive than many of the newly release detectors. Other detectors to research that are comparable to the White’s GMT include the Fisher Gold Bug 2 and the newly released Makro Gold Racer. 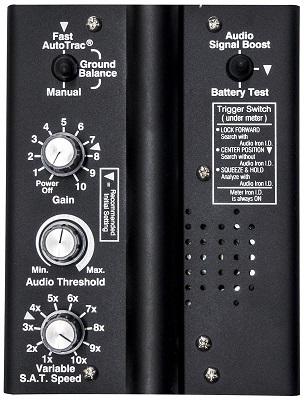 Both of these operate at a high kHz and are very sensitive to small gold nuggets. While sensitivity to small gold is always important to any gold hunter, smooth operation in highly mineralized ground is also a consideration. Many of the newer gold detectors have given up a bit of sensitivity to the smallest targets as a trade-off for general usability in many conditions. These detectors would include the Garrett AT Gold, Gold Bug Pro and the Nokta Fors Gold+. Though slightly less sensitive to the smallest bits of gold, these detectors are still very good units and worthy of consideration if you are shopping for a new detector. This is a time-tested gold detector that has proven itself in the goldfields around the world. I know guys who have owned the same one for over 15 years now and still use it as their daily gold detector. 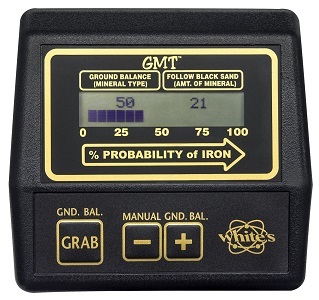 The White’s GMT is a winner, and I would not hesitate to recommend this detector to someone who is looking for a reasonably priced metal detector with the specific intent of using it for gold prospecting.